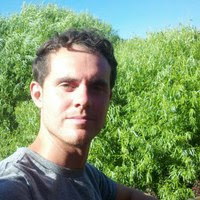 Alexander Keller Hirsch is Assistant Professor in the Department of Political Science at the University of Alaska, Fairbanks. He can be reached at ahirsch@alaska.edu. On December 4, the Corps finally announced that it would not allow the new DAPL course; a decision that is the net result of months of intense public pressure after Standing Rock became a global flash point for indigenous and environmental activism. 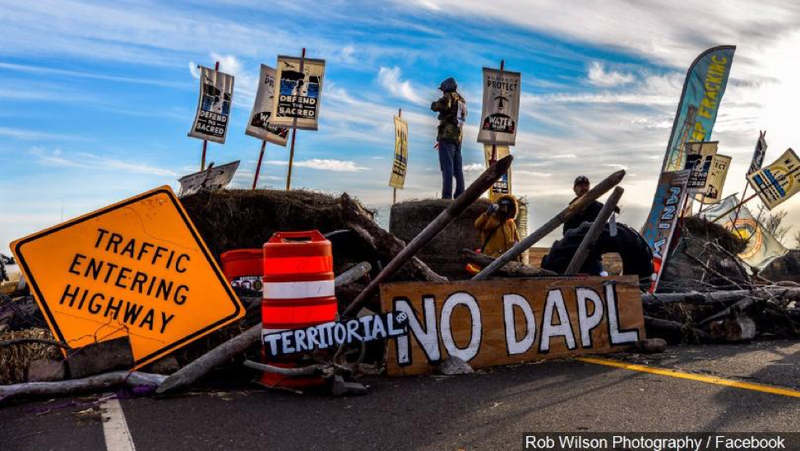 Water protectors, who plan to remain encamped throughout the winter, are celebrating cautiously. Given the recent election, it is unclear how durable the government’s decision will be. The Army Corps of Engineers falls under the Department of the Army, which serves at the pleasure of the president. Just what will replace Obama’s precarious lame duck administration remains, ominously, an open question. 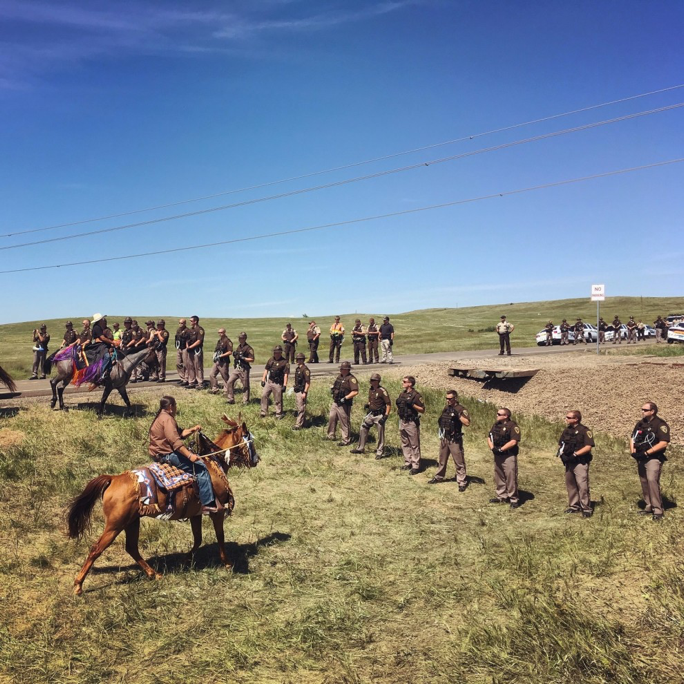 For the moment it appears the protestors have won a significant victory, and this clears more breathing room for reflection: Why were the Sioux being forced, literally at gunpoint, to accept the same ecological risks that the white residents of Bismarck were not expected to assume? In part, understanding the answer to this question means confronting the longue duree of sovereign struggle in the greater Black Hills region, and the ways the Standing Rock opposition to the DAPL attends to, but also expands upon, this legacy. This is where the Fort Laramie Treaty was originally signed in 1851, which defined the federally recognized boundaries of Sioux, Crow, and Cheyenne territory. 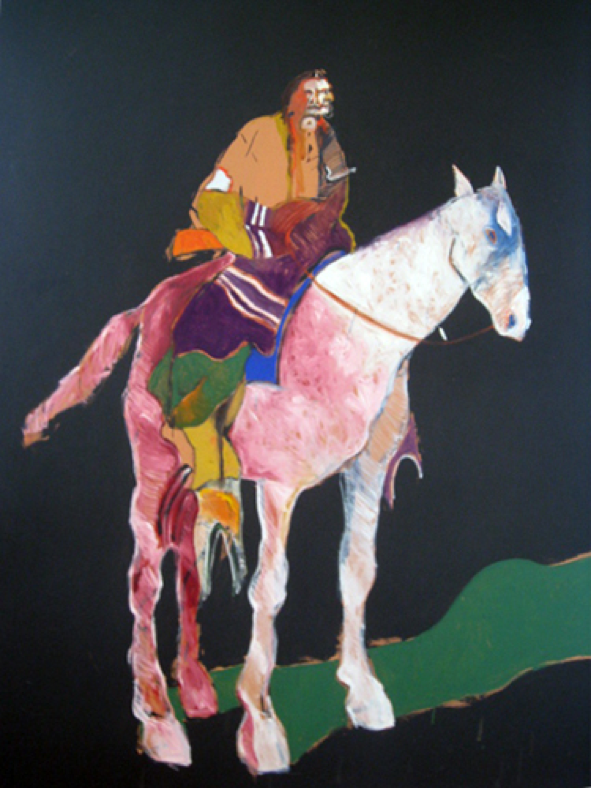 The treaty was broken, time and again, after the “bloody” Bozeman Trail, which shot through that territory, was fashioned to support the rush to unearth gold in Montana and Wyoming, north and west of the reservation. 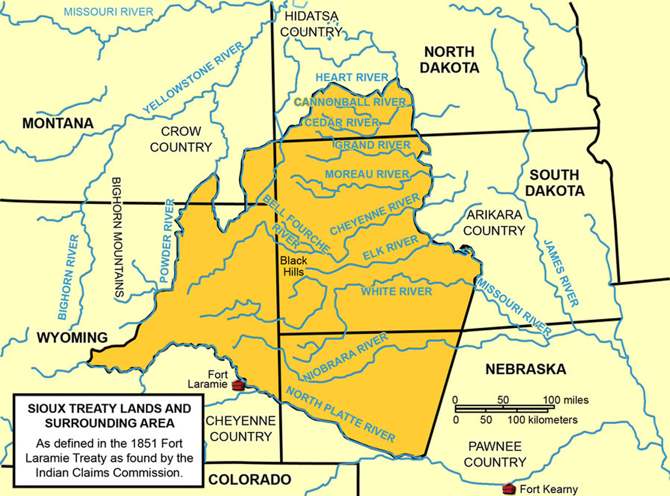 This is where, subsequently, Red Cloud (Oglala Lakota) led an insurrection against the Fort Rice and Fort Buford entrenchments along the upper Missouri river, staging points for protecting reservation trespassers. In 1878, Sitting Bull, along with his Hunkpapa followers, killed 210 of Lieutenant Colonel General George Armstrong’s soldiers after they invaded Greasy Grass, a Sioux village settled along what the Army called the Little Big Horn River. This is where, by the late 1880s, the region’s buffalo were nearly hunted out of existence by European settlers, threatening the traditional Sioux way of life; and where pandemics of measles, influenza, and whooping cough killed thousands. 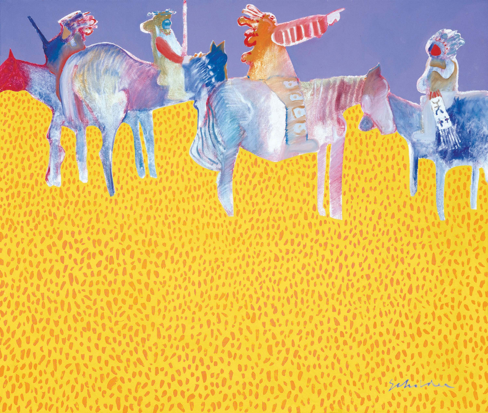 The Ghost Dance, a nonviolent messianic movement that swept the region in the wake of the buffalo’s disappearance, presaged the end of settler expansion, and foreshadowed indigenous renewal. In 1890, a detachment of the the US 7th Calvary Regiment escorted hundreds of Miniconjou Lakota and Hunkpapa Lakota to the Wounded Knee Creek, where they were executed. Eighty-three years later, at the height of the American Indian Movement (AIM), 200 Lakota seized and staged an armed occupation of the town of Wounded Knee for 71 days, demanding new treaty negotiations. 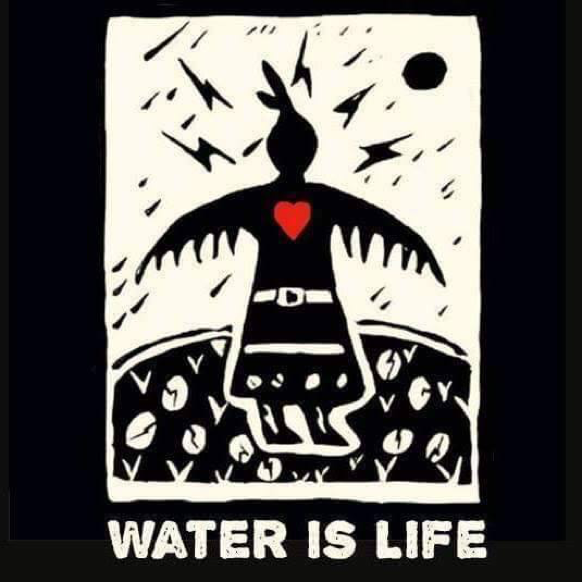 From this historical perspective, the present contestation over the DAPL can be viewed as the continuation of a longer survivance story of self-determination for an embattled people who have been defying the forces of colonization for generations. The police have trained high pressure hoses on the protestors, who have already been subject to violent encounters with DAPL security attack dogs, and other measures of brutality amid the siege. But understanding the answer to the question of why the previous pipeline plan would traverse Lake Oahe, a sacred cultural site and the main source of drinking water for Standing Rock, is also a matter of coming to terms with who is expected to adopt risk, when others are not. How ought risk to be distributed? Who should shoulder the burden of vulnerability, and become exposed to the perils of ecological danger? And who ought to be shielded from the liabilities that attend such danger? It is true that accidents are less probable with pipelines than other modes of oil shipping. But we face here the classic issue in probability theory that the book, The Black Swan, should have resolved years ago: though less frequent, pipeline disasters are far more serious in their effects. According to data from the federal Pipeline and Hazardous Materials Safety Administration, since 1986, there have been 8,000 “serious incidents” (roughly 300 per year), which have cost the lives of over 500 people (in addition to 2,300 injuries), and incurred $7 billion in damage. Since that time, pipeline accidents have spilled an average of 76,000 barrels per year, or more than 3 million gallons of oil (the equivalent of 200 barrels every day). Progress on the DAPL project are currently stalled. But one question remains insufficiently resolved: What does the election of Donald J. Trump as the 45th president of the United States portend for Standing Rock? During their presidential campaigns, neither Hillary Clinton nor Donald Trump adopted official positions on the controversy surrounding Standing Rock. Hours after it was announced that Trump had won the election, however, the share price for Energy Transfer Equity, operator of the DAPL, skyrocketed. In part, the stock jump indexes confidence that President-elect Trump will curate a cabinet conducive to the pipeline’s successful completion. Along with corporate oil executives Harold Hamm and Forrest Lucas, Sarah Palin -- of “Drill, Baby, Drill” fame -- are presently on the short list for positions as US Energy Secretary and Secretary of the Interior. The stock surge may also indicate market faith that Trump, who has disclosed his personal investment (between $500,000 and $1 million, according to the Wall Street Journal) in Energy Transfer Equity, will incentivize resuming DAPL construction. What is more, in a recent statement, President-elect Trump issued explicit support for finishing the pipeline. In an interview with Chris Matthews of MSNBC, Rudy Giuliani compared Trump’s electoral college triumph to Andrew Jackson’s victory in 1827. 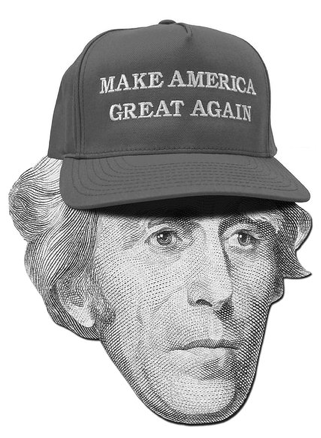 As with Jackson, Giuliani argued, “The people are rising up against a government they find to be dysfunctional.” Given the legacy of Jackson’s notorious Indian removal policy, the analogy bears the ill-omened mark of a dark Indigenous future under the auspices of a Trump presidency. Of course, Trump’s presidency has already been accused of consolidating totalitarian impulses. The question for Standing Rock, as for us all, is how his election will influence who will be expected to adopt risks, when others are not.